Skills UI Design, Video Prototyping. During the Video Prototyping course, we explored ways to communicate a concept through video. 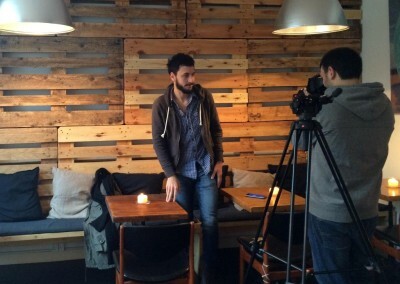 Video can be used as a tool to explore or test an idea, to illustrate a user journey or to present a concept. 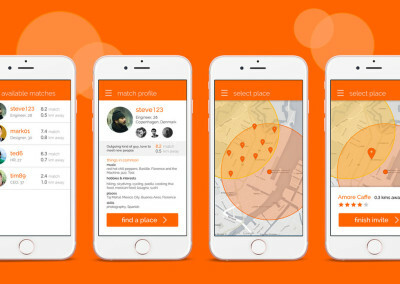 For this project, the assignment was to design “a dating service for professionals, that promises to be personalised”. 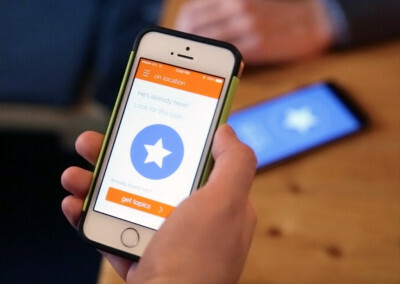 We designed the user interface for the app and filmed the user journey to present the concept. 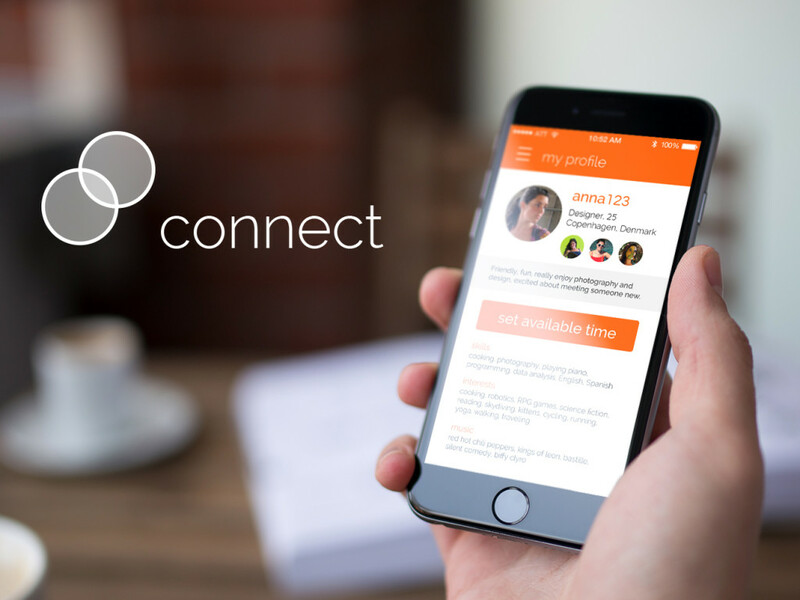 Connect is a service that helps busy professionals find a match. It gathers information from social media and music services to create a profile. 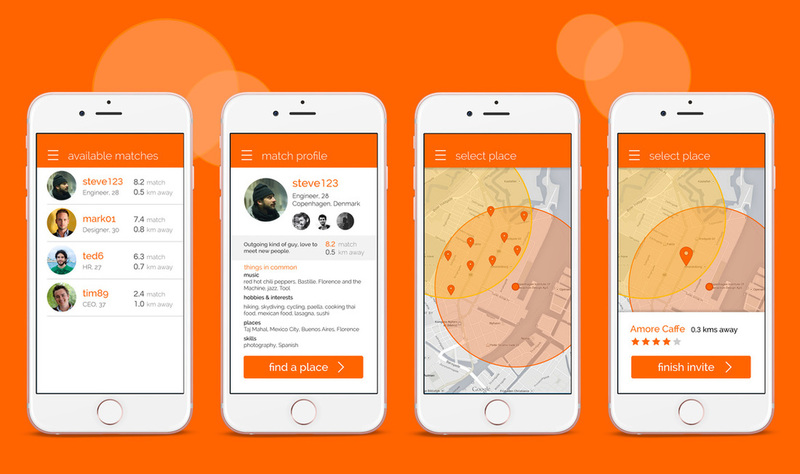 The app matches users based on location and free time, suggesting suitable locations to meet. 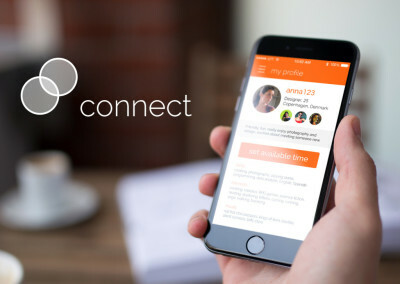 If they both accept, Connect provides them with a discreet image to display on their phone so they find each other quickly. 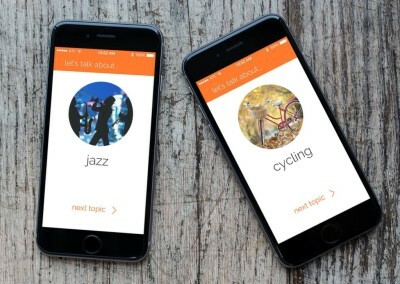 During the date, the app suggests topics to talk about by listing common interests.